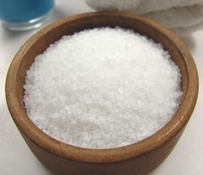 Adovia Dead Sea Bath Salts are a Beauty Must-Buy! You are here: Home / Beauty and Fashion / Adovia Dead Sea Bath Salts are a Beauty Must-Buy! I love this product! My two favorite things are how easily it dissolves in a bath and how soft my skin feels after soaking in the tub. I also love that it is great for my son’s somewhat sensitive skin. He does not have Eczema but he does often get itchy dry skin. My husband also has many aches and pains due to an accident and he was surprised to find after using he had some relief. Seems so much better than Epson salts. I really love that it is formulated with over 26 essential minerals the body needs for natural soothing and relaxation. I really recommend and this product exceeded my expectations. You can buy on Amazon.com.